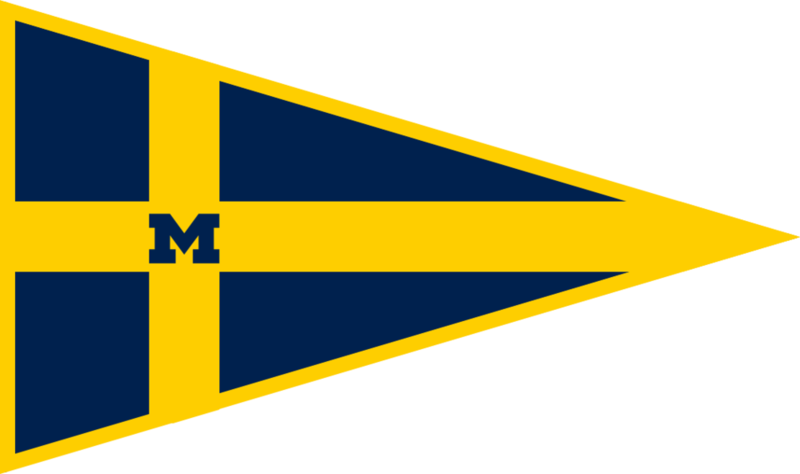 Welcome to the Michigan Sailing Team! Founded in 1938, we have been competing nationally for over eighty years. We're still growing, and we aim to be the best sailing team in the Midwest! Thank you to all of you who supported our organization this past Giving Blueday. With your donations, we were able to not only meet our goal, but we exceeded it by over twice as much! The University of Michigan recognized our amazing group of 154 donors by awarding us an additional $2500 for our team. Thank you, again, and Forever Go Blue! Learn more about where we practice, our coaches and facilities, and what type of events we compete in. We have new apparel including Tech Tees and Polos. All items make great gifts for sailors of all ages. We even have burgees! Come sail with us! We take sailors of all skill levels and experience. We'd love for you to get involved! Here's how you can get started. Your support helps us to achieve our short-term and long-term goals!